DJ Pauly D is an American media personality who was born on July 5, 1980 in Providence, Rhode Island. On Spotify, DJ Pauly D keeps a low profile with only a popularity score of 35 out of 100 and around 25,000 followers as of 2018. His most popular track on Spotify is "Back To Love" from the album Back To Love (feat. Jay Sean) - EP. DJ Pauly D's Instagram account (@djpaulyd) has a huge audience with about 3.8 million followers. His recent posts to Instagram have gotten about 39,000 likes each. 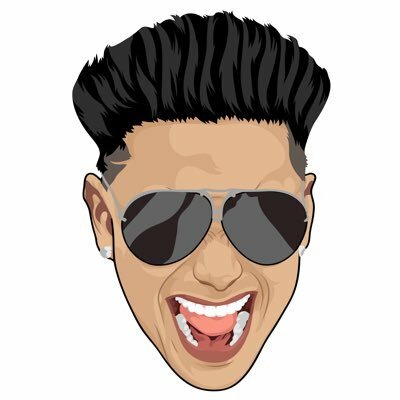 As of 2018, DJ Pauly D has 25,000 followers and a popularity score of 35 on Spotify. Back To Love (feat. Jay Sean) - EP - Single, Silver and Gold - Single, and Jersey Shore Soundtrack are some of the more popular DJ Pauly D albums. Notable tracks from these albums include Back To Love, Silver and Gold, and Beat Dat Beat (It's Time To). Back To Love is DJ Pauly D's most popular track, scoring 40 out of 100 on the popularity scale. Silver and Gold and Beat Dat Beat (It's Time To) have popularity scores of 40 and 30, respectively. The Spotify popularity score is on a scale from 0 to 100 and reflects the number of times the song has been played and how recently it has been played.